It’s not every day we get a video coming out of Vietnam! Some of the World Deece crew took a trip over that way to see what the place had to offer for spots! Hit play to check out a bunch of footage they collected during their stay rom the riding to the random footage they collected along the way. Besides a few angry bystanders and getting detained, it looks like the trip was an absolute blast. Check it out! “Going away with your mates isn’t an easy feat and unless you’re one of these filthy rich folk it comes at a considerable cost to go abroad. There’s the easy options like SoCal, Barcelona, New York, Austin, Berlin and Paris to pick a few. Of which no one can blame you for heading out to either. When it’s your dime and time why wouldn’t you go to a dreamland of perfect spots and weather? The World Deece crew coming through with a new mix! Here’s a new one Regan Miller put together featuring him and the boys getting down on street spots, DIY spots, skateparks and more up in British Columbia. This is filled with riding and plenty of laughs and good times off the bikes, too. Take a look! Some of the World Deece crew made a trip over to Barcelona, Spain to spend some time exploring the city and cruising spots. Here’s a look at what Drew Morton and James Dean got into during their stay, along with a few guest clips from some of the locals mixed in for good measure. Overall, it looks like it was a real successful trip filled with good times. Check it! Here’s one that the edge and sober guys might not be into, but the World Deece crew dropped a new video that’s under the influence. Despite the B.A.C level’s being a little high for Kai Powell and the rest of the crew, they were still able to clock a bunch of real solid clips out on the streets and at a few skateparks. Take a peek! The World Deece crew coming through with some fresh footage of Garrett Bell for your viewing pleasure! If you’re looking for grinds, this is the one you’ll want to check out! “Open your ears and let the harmonious street music of steel pegs and a cassette bond together unanimously to create a “bell” like harmony. Garrett Bell, the boy with no switch takes the streets in Victoria and Parksville B.C. The World Deece crew coming through with a new mix of riding footage and a bunch of extra footage they were sitting on from one of their GoPro cameras that was just waiting to get uploaded. This is packed full of grinds, toilet destruction (not that kind), hockey fights, laughs and random footage you will probably be wondering where they hell they even found it online. 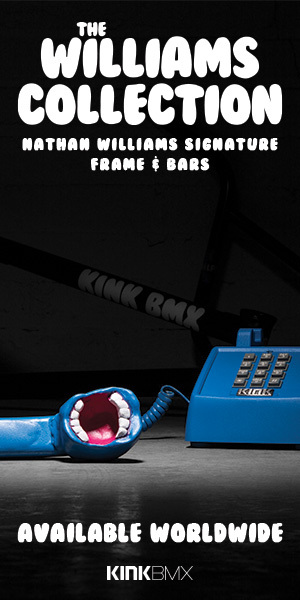 Either way, it’s a real solid BMX video that’s worth a look. “Found a couple GoPro tapes that I hadn’t captured yet. Drew Morton, Tyler Mckinstry, Thomas Arden, Tristan Sweet, Bluntosaurus, Shelby Hare, Regan Miller, JD, Pavel Bure, Gino Odjick and Stone Cold Steve Austin. The World Deece crew coming through with another BMX video from some of the sessions they have been getting into lately. Check out what Regan Miller, Nathan Hines, Cody Hetherington, Tyler Mcinstry, Cole Ter Veer, Griffen Jepson and Jack Newton got into before they had to have a little chat with the police. Plenty of real solid clips all throughout this one as we’ve come to expect from these guys! The World Deece crew’s Derek Morgan and Ky Brisebois coming through with a splitter tribute to Old English for you guys. This starts out pretty weird, but eventually gets to the riding which is a bunch of jibs from around spots in Victoria. Things wrap up with one hell of a nutter on a rail. Take a look! “Here at Worlddeece, we love a good OE in a brown paper bag to fuel our street antics. But this video is about a father and son enjoying their favourite outdoor activity. The great team sport known as BMX. So sit back, relax and crack open an ice cold 40 and just remember how blessed you are to have Worlddeece in your life.